It took us around 5 hours by car to reach there from Seoul. Gyeongju is the capital of ancient kingdom of Silla. Firstly, we visited Seokguram. It's one of the national treasures. Not allowed to take picture inside. Then we went to Bulguksa Temple. The pond has become icy. This is said to be the most popular view of Bulguksa Temple. Then we had dinner! 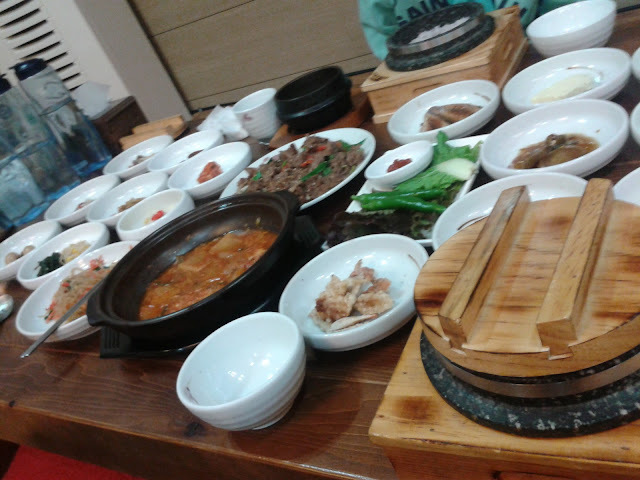 We ate 밥상 at this restaurant called 사또밥상. Yes these are all our foods! 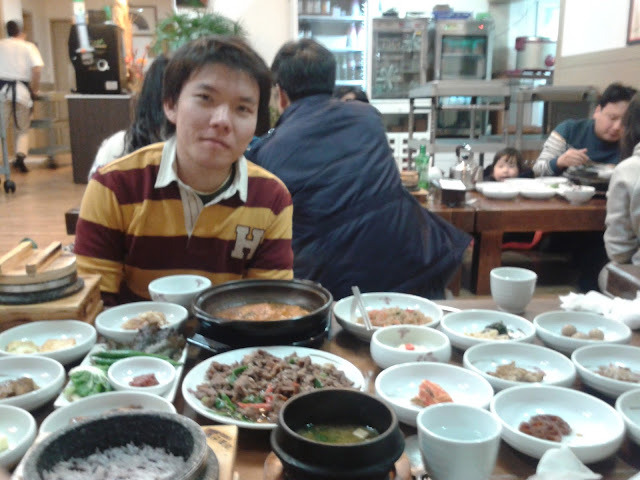 Then, the next day we went to see Cheomseongdae 첨성대 which is an astronomical observatory at that ancient time. Then we visited the Royal Tombs area (Tumuli Park). This tomb is called Cheonmachong 천마총. You can go inside to see what is the tomb looks like from inside. 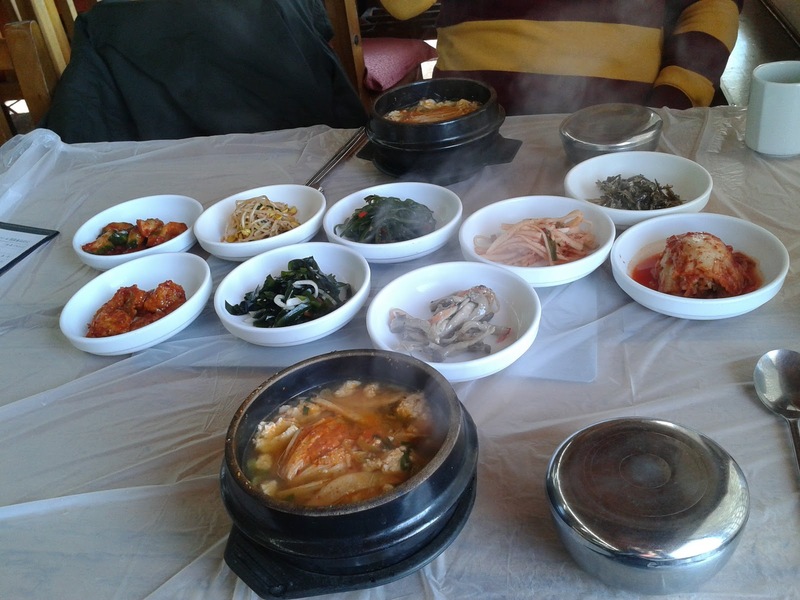 Then before we go back to Seoul, we ate Sundubu Jiggae as our lunch ! hehe he just came to have holiday..